Socks and Shawls oh my. 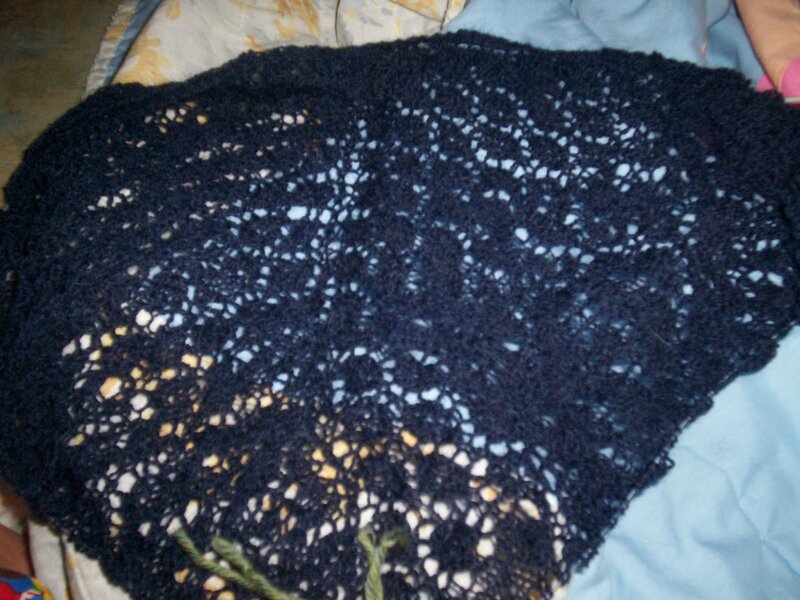 The swallowtail shawl (pictured here) is going again, as you can see. 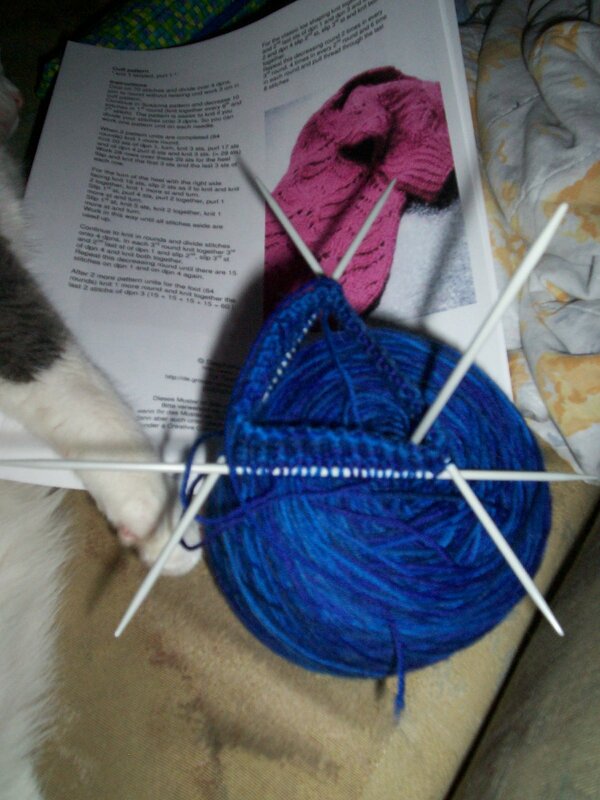 I stopped again to work on the Top Secret Mother’s Day Present, but that is finished so its back to Auntie Donna socks and the Swallowtail. The shawl has been ripped once already (it was once long ago the MS3 shawl but I wasn’t a fan of the second half of the shawl so rrrrip. This is the Auntie Donna socks, the first sock is now done, the second sock is awaiting it’s start (sorry the picture is old but whatever). Again they got stalled for mothers day (that project just needs to be blocked and then it should be ready). I’m happy to be going back to socks and shawls but the urge to cast on is strong, seriously, but I want to finish more things before I start another big project. Getting job has significantly changed my ability to knit and my time so I’m sure the summer will prove to be a slower time in Sadieville knitting. Sad I know. But so it goes.